The second edition of Shanghai Cooperation Organisation(SCO)-Afghanistan Group Meeting was organised in China's Beijing in which India's delegation was led by Gitesh Sharma, Additional Secretary (Multilateral Diplomacy). 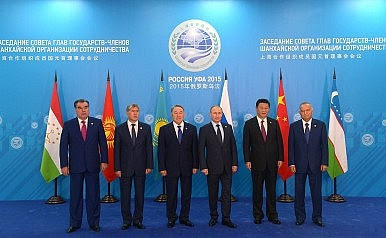 The meeting followed the expansion of SCO by adding India as its full-time member in 2017. In the meeting, India promised to extend support for Afghanistan to combat terrorism and extremism imposed from beyond its borders. Also, India pledged to show readiness in work closely with the SCO Member States in efforts to bring peace, prosperity and stability in Afghanistan. The Shanghai Cooperation Organisation (SCO) is a Eurasian political, economic, and security organisation that came into existence on 15 June 2001 in Shanghai, China. It was formed by the leaders of China, Kazakhstan, Kyrgyzstan, Russia, Tajikistan, and Uzbekistan; the Shanghai Cooperation Organisation Charter was signed in June 2002 and entered into force on 19 September 2003. India and Pakistan joined SCO as full members on 9 June 2017 at a summit in Astana, Kazakhstan.